Cigisped is a provider of yacht transport, boat transport, yacht shipping by sea and boat insurance. Cigisped Air Freight is an IATA cargo agent and provides yacht transport by air, and dangerous goods transport. Cigisped provides container shipping, integrated logistics, container lashing, preclearance and goods storage. 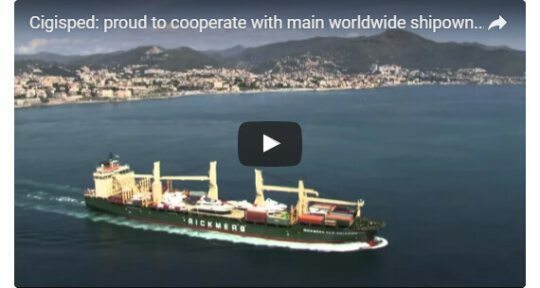 WCA is the world's largest and most powerful network of independent freight forwarders, with over 6719 member offices in 193 countries around the world. Every WCA member is carefully vetted before acceptance into WCA, ensuring that only the best companies, offering the highest standards of service are admitted. Being certified with WCA, Cigisped can benefit from the support of premium quality freight forwarders Partners, worldwide. 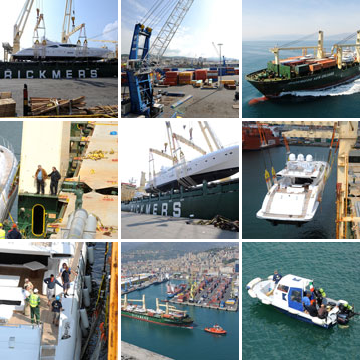 We manage your yacht transport from handover to the port of destination. We also give help during discharge operations. We take care of everything: from handover to the port of destination. Legal notice: Cigisped S.r.l. does not perform by itself the carriages nor undertake any juridical obligation to perform them through own or third party means. Cigisped S.r.l. performs its activity as freight forwarder as per article 1737 and subsequent of the Italian Civil Code, identifying and entrusting, on behalf and in the best interest of their clients, the most suitable carrier to perform the transportations required.